Welcome to my very first book with Martingale! My Vintage Patchwork book features 12 new projects for your stitching pleasure. You can make small quilts and pin keeps to decorate any little space in your home! And....here's the exciting part! All 12 of the projects in the book were made from just one 10" x 10" precut of my Pam's Prairie Basics fabric collection! Really!! It's true!! You, too can make all of the projects from one precut!! 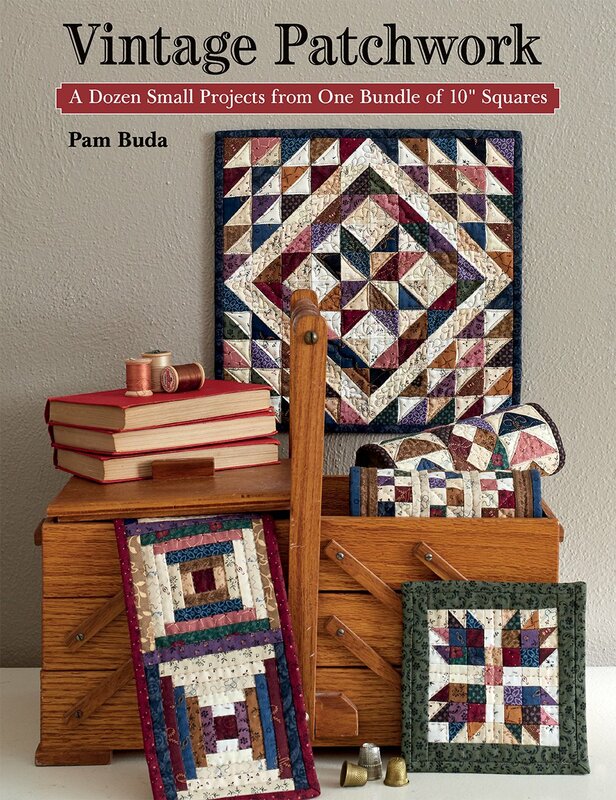 Order your autographed copy of my Vintage Stitches book and Pam's Prairie Basics Precut today before they're all gone! Everything is in stock and ready to ship today!